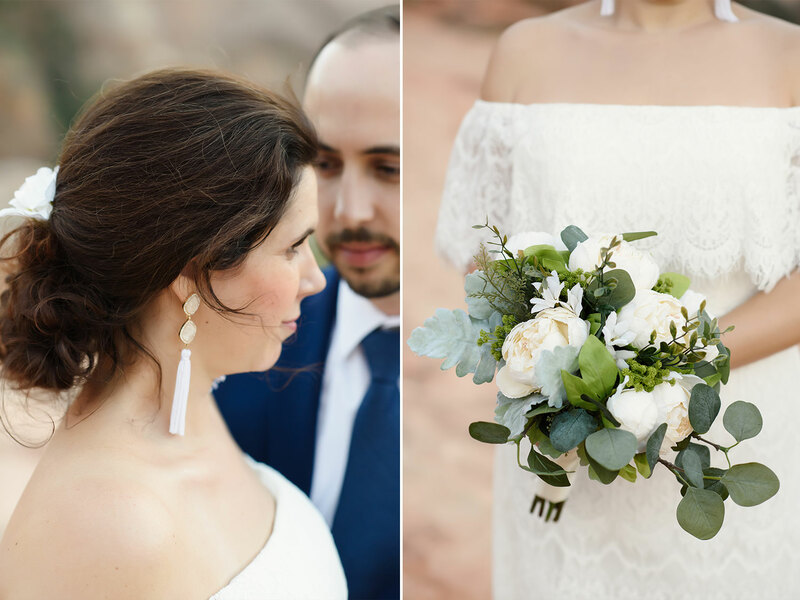 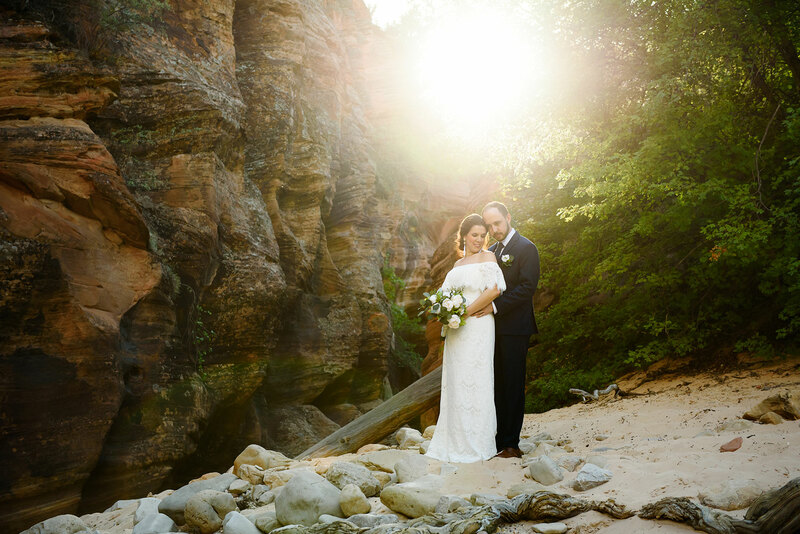 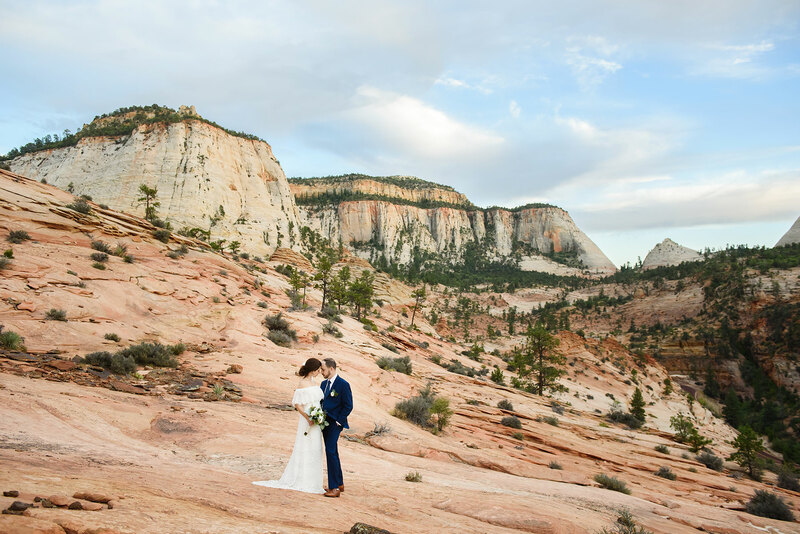 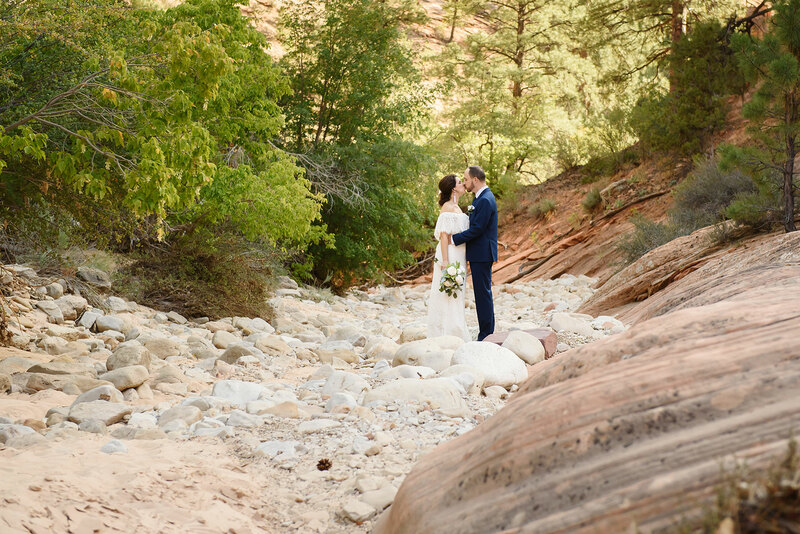 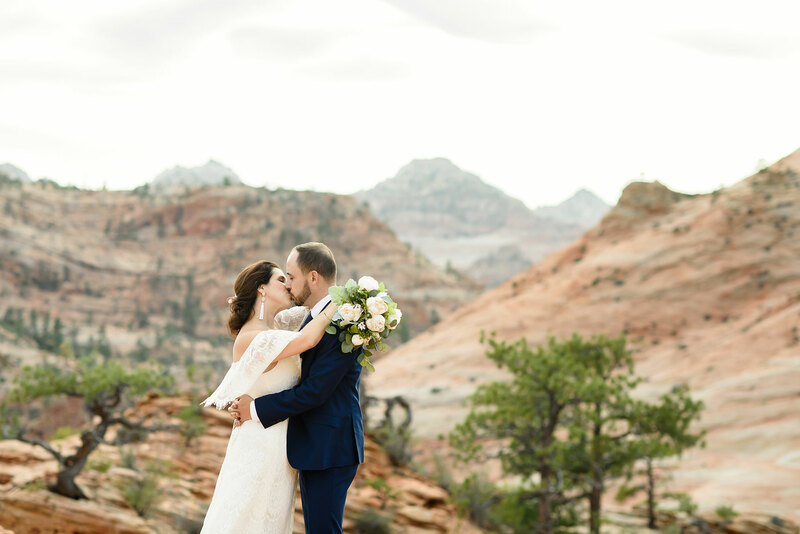 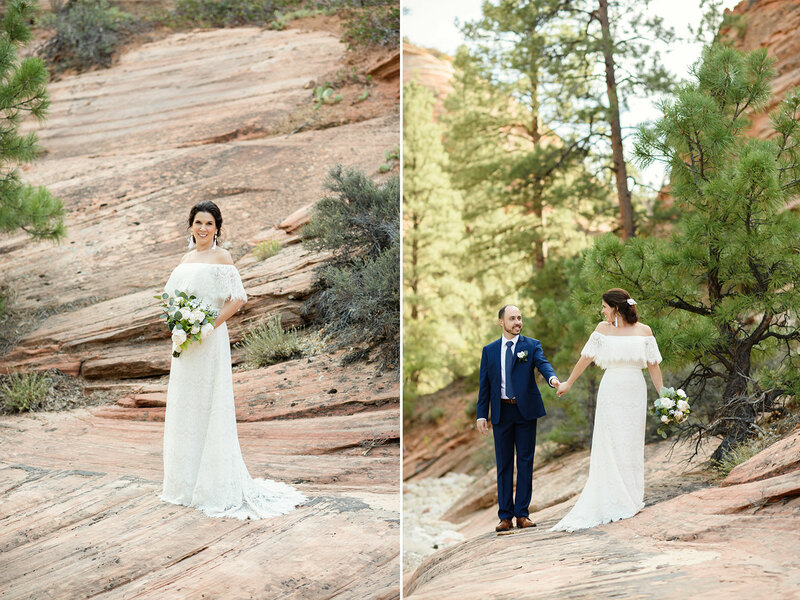 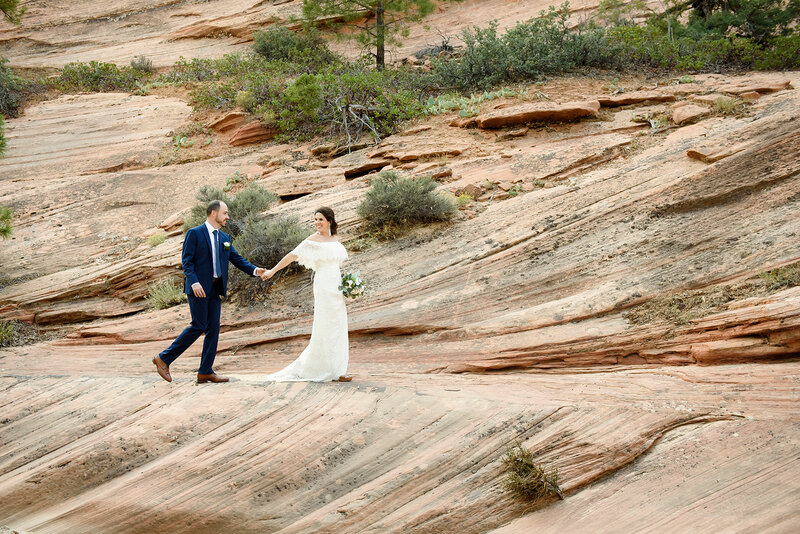 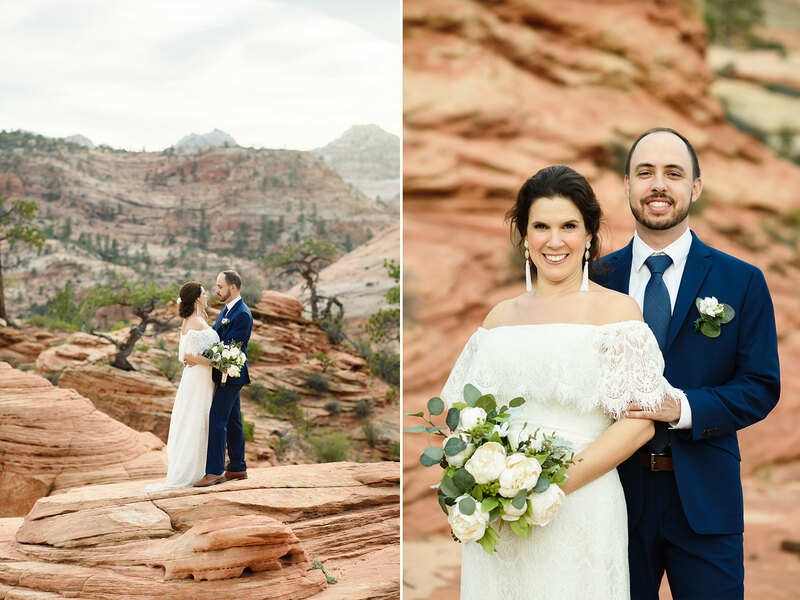 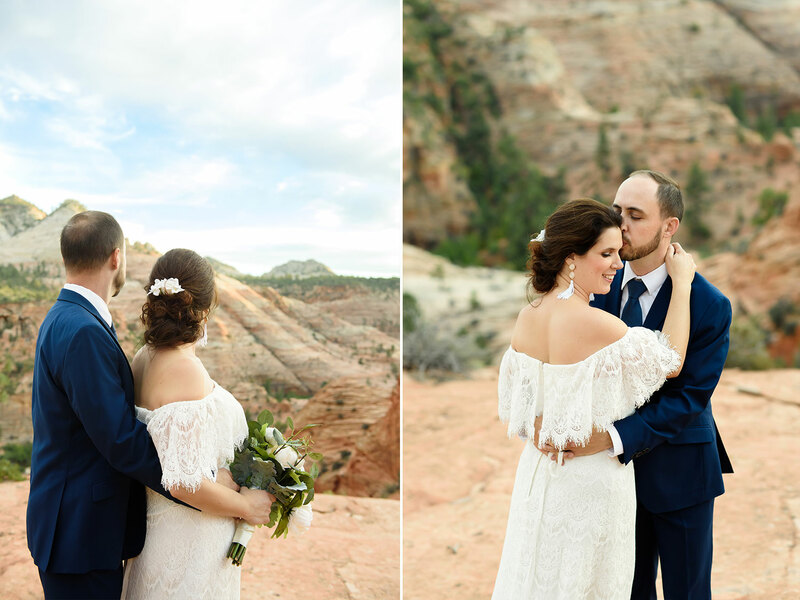 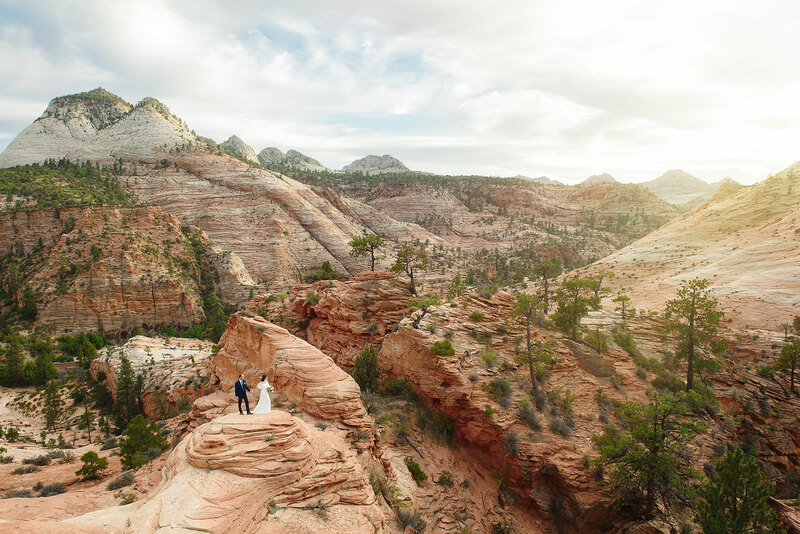 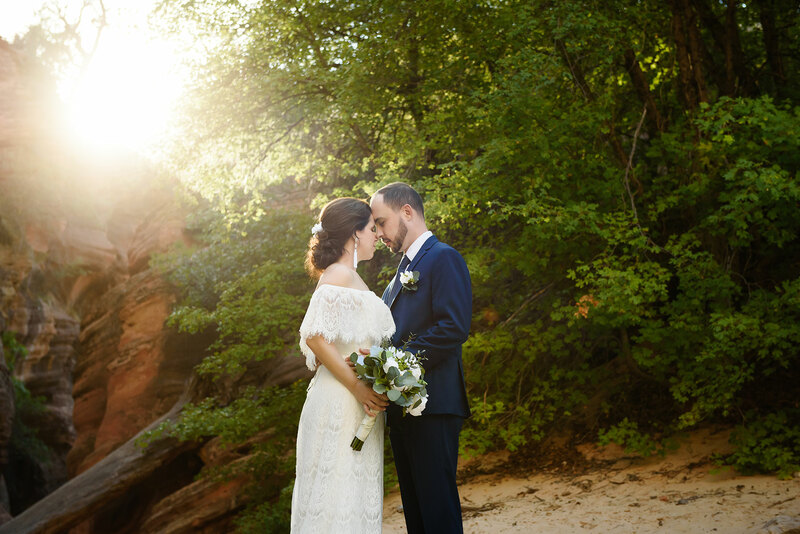 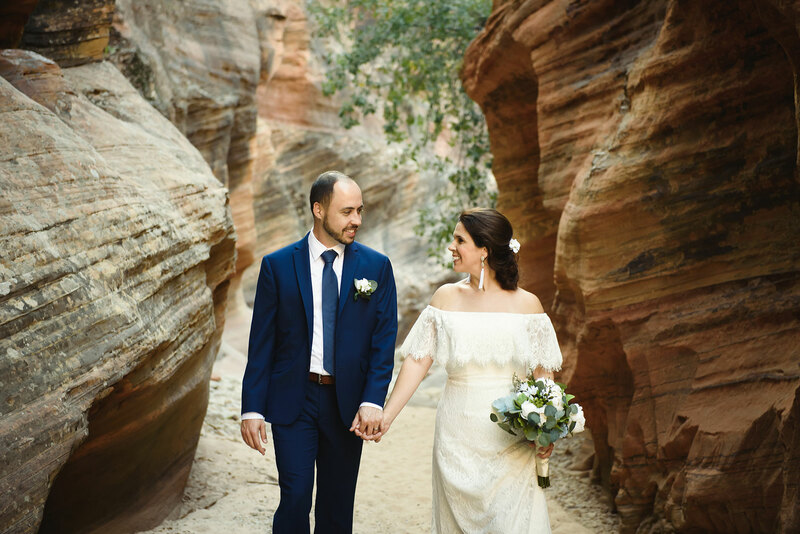 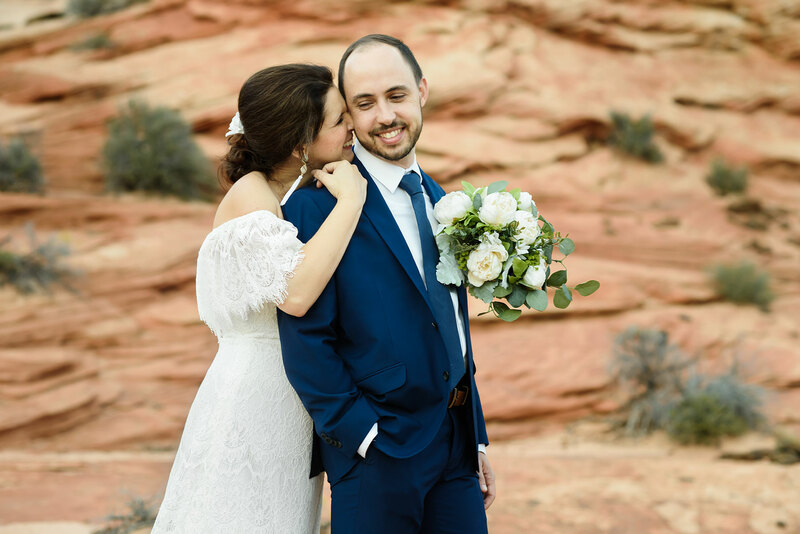 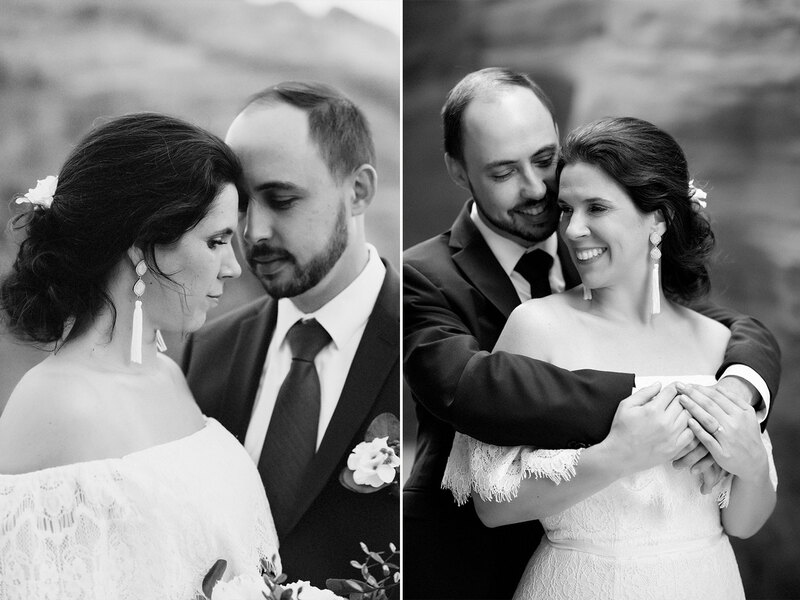 I’m pretty excited to share this wedding photoshoot I did with Monica & Danny in Zion National Park. 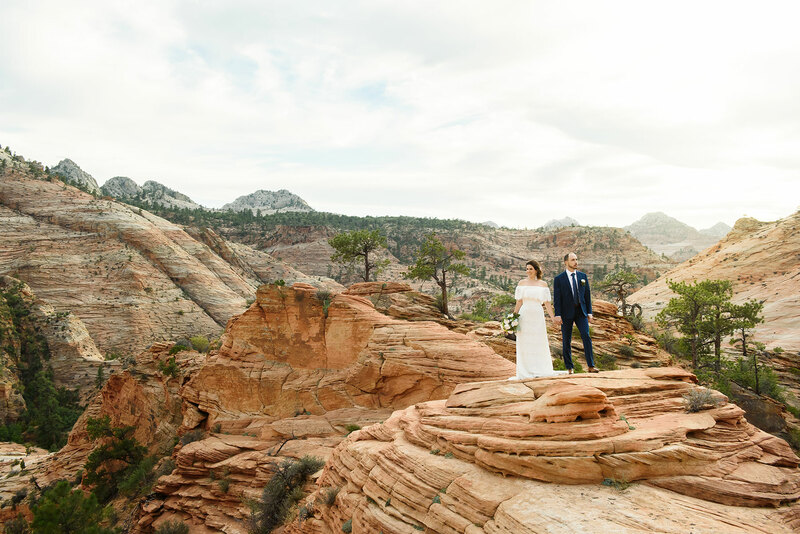 Monica & Danny are from Florida, they had never been to Zion before, so it was fun showing them around. 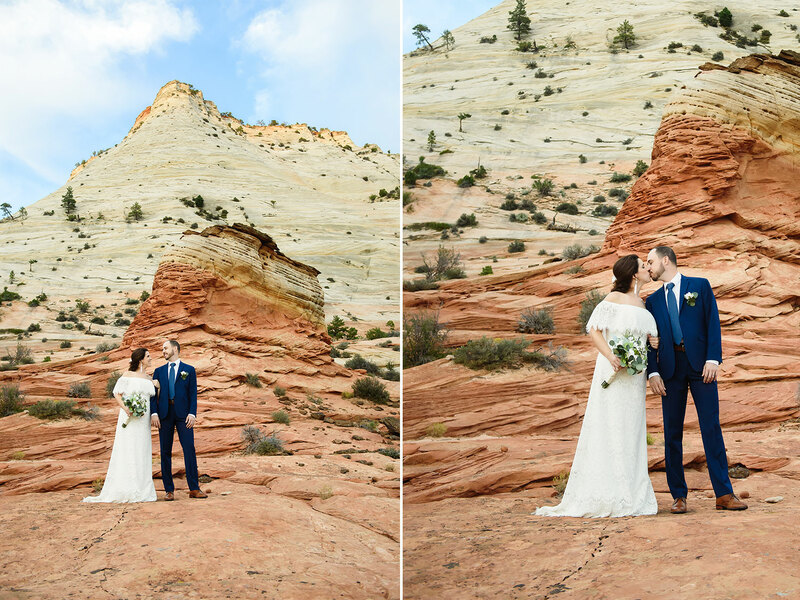 I have to admit I did freak them out a bit when I pull off the side of the road and pointed at the mountain I wanted to climb for the final location! 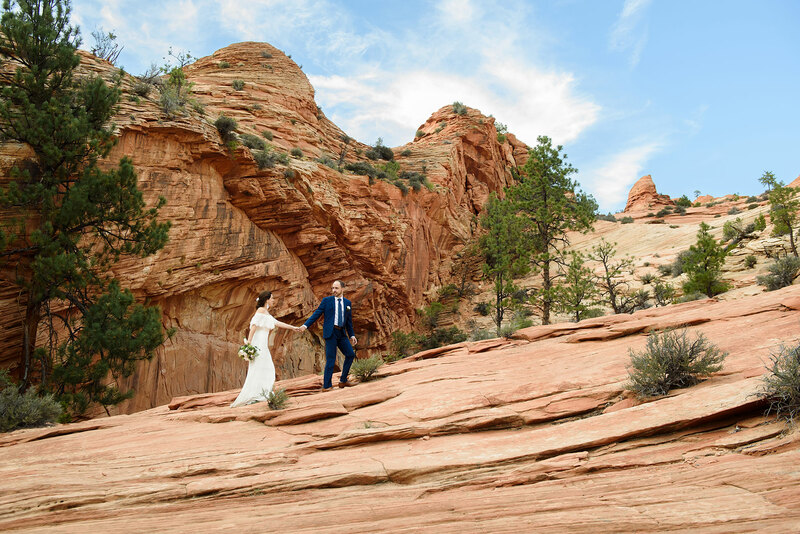 They were really awesome about it though, I let them take brakes when they needed it (living at sea level and hiking in Utah can be a challenge!) 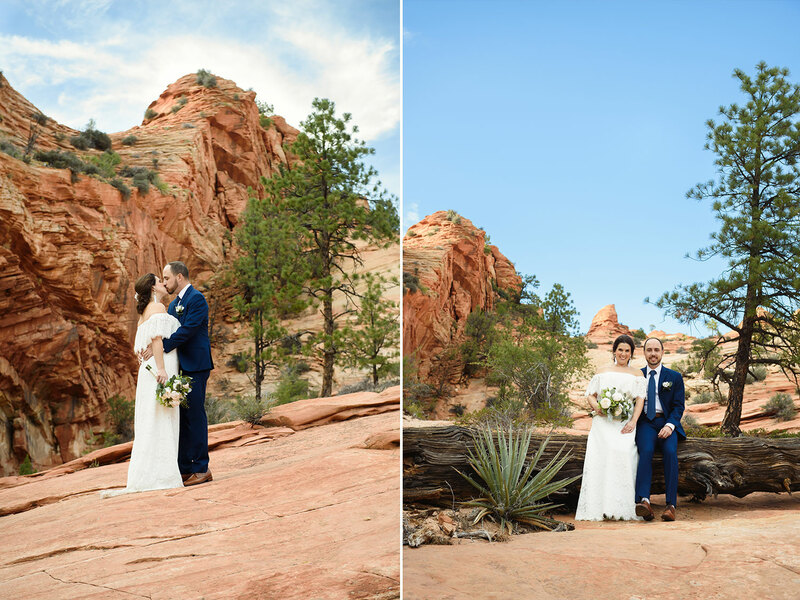 and in the end, they were really happy with the views and the final product. 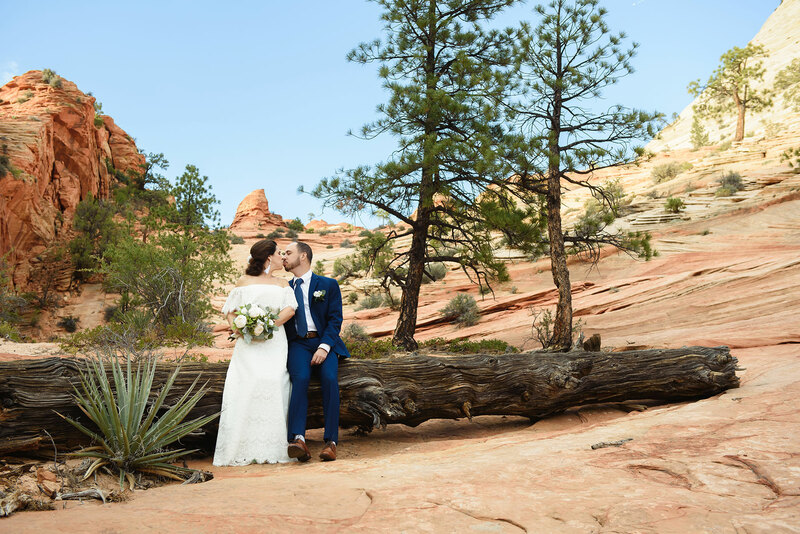 I even got a Christmas card from them with a bunch of photos from our adventure which was so cool.